It feels like yesterday that I was elected S.O. President. I am very thankful for the position and I hope that we have a great school year. I also wish all of you good luck through the year and seniors, have the best last year of P.S. 221 ever! Work hard and always try your best. My name is Noah Kong and I am your 2016 - 2017 Vice President. I am happy to work with other office members of S.O. and the Executive Board. I will try my best to have new ideas about fun activities to discuss with the Executive Board, Mrs. Clarke, Mrs. Fanelli and Mrs. Bullard. I hope you have a great year at school! I am Yovan Li! I am in 4-201 and Treasurer of PS221Q. I was born in San Francisco, California and moved to New York. I am an only child. I like mathematics. My interest is to be a Computer Scientist when I grow up. My hobby is solving math equations. I am proud to be part of SO and Treasurer of PS221Q. Thank you for voting for me. As I promised I will always work hard and try my best. From now on I will help everyone in school and help SO to make a better school. Thank you again for voting me as your secretary. I am Matthew Friedman from class 5-202, and I am P.S.221's new S.O. President. I'm a student that loves to have fun in school, but I also like to work because my teachers are really nice. I've had experience in the S.O. in third grade, when I was the S.O. 's Treasurer. I also am able to work well with others, so I'm sure that this will be a very fun year with my fellow classmates, and my fellow S.O. representatives. I will try my best to fulfill my duties as S.O. President and I will listen to my peers and make their ideas happen. Hello! My name is Joy Han and I am from Class 4-205. Now that I am Vice President I am hoping to help make great changes at P.S.221Q. I am very excited to work with Matthew, Brandon, and Jaemin to plan new ideas. Although I am the only female on our Executive Board, I will try my best and do everything I can to help our school. P.S.221Q is the best school ever! Hello, I'm Jaemin Kim and I'm your new S.O. Treasurer for 2014-2015. I'm from class 3-101. I'll try my best to help our school and will cooperate with the other members. I'll try my hardest to make a better learning environment at school. I hope you have the best school year. Thank you for voting for me and I shall never let you down. Hello, my name is Brandon Kim, your new S.O. Secretary for the 2014-2015 school year. I love the feeling that comes to mind when I think about being secretary. I will guarantee that this school year is a memorable year for all of us. I will always try my best to make this school stand out from the others and at the same time have fun! Thank you for voting for me as your secretary and I will always try my best. 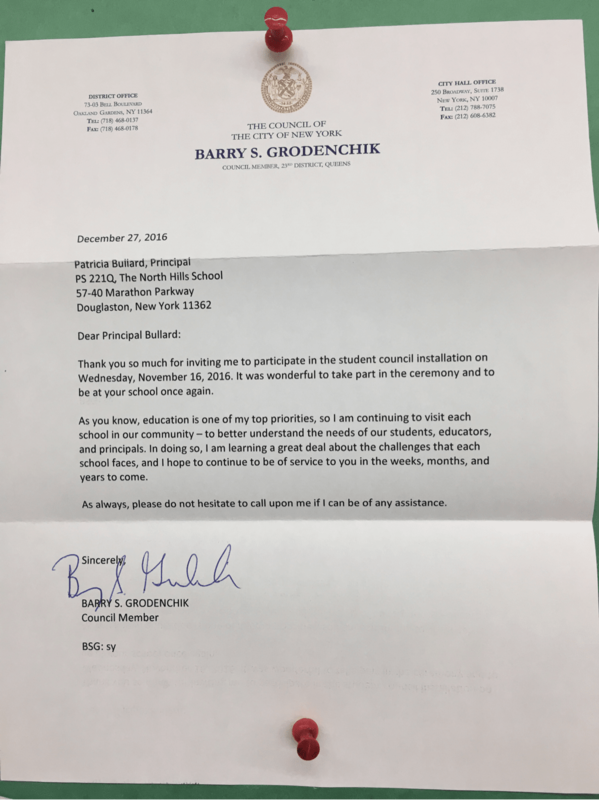 This is my promise to all the students of P.S.221. Once again, thank you!